This year’s Atlanta Film Festival celebrates Georgia talent, along with the debuts of some significant documentary and narrative features. 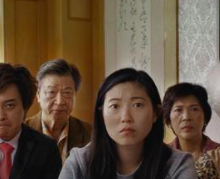 Beth Ward, film and books editor for Arts ATL, joined us for a conversation about some of the festival highlights, including Georgia-produced Summer Night and Lulu Wang’s The Farewell, starring Awkwafina. The festival runs through April 14.